Practical approaches to getting the best from later life. At Acticheck, we believe everyone should live their lives as if they only have one life to live. 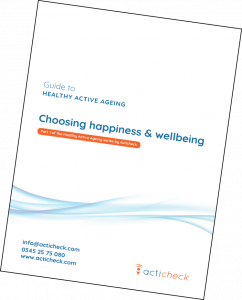 Download your guide NOW and start your journey to Healthy Active Ageing. By Acticheck. Manufacturers of the Assure wristband personal alarms for the elderly and others.